Shimon Peres in the award winning hit, OSLO, which transferred From the NT to the Pinter. 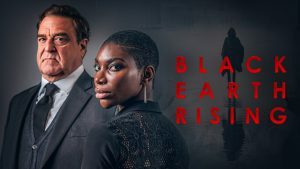 Zava Zand in BLACK EARTH RISING BBC / Netflix directed by Hugo Blick. Daniel Borgoraz in THE HONOURABLE WOMAN. 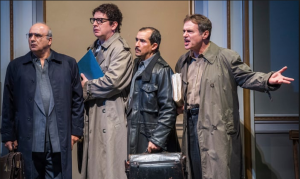 Captain Papa Louw in his award-winning play, THE DEAD WAIT, at The Park Theatre. 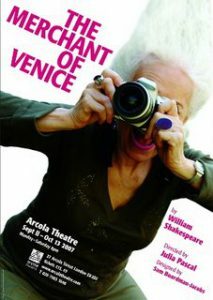 Other recent work: Vincentio in Taming Of The Shrew at the RSC; Joe Celano in The Trial Of Jane Fonda at The Park. A major screenplay for Ecosse films and has been commissioned by them on a new project, adaptation of a major 20th century novel. His award-winning play, The Dead Wait was produced at the Park Theatre 200 in 2013. Please click to move to the Voice Over section which allows plays of both MP4s and MP3s. Recent work includes: Amazon, Drover, Stiltz, Hendrick’s Gin and FX Pro.